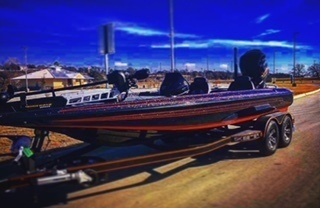 Register Log In Texas Fishing Forum Forums Tournament Dates & Information 2019 Kings Of Cowtown Qualifying events. Top 10 finishers from each qualifying event will have a spot for KOC event in August. Last edited by Darryl Roach; 02/09/19 01:30 PM. Exactly where do you have to finish in the events to qualify? Cant remember. This a individual or team tournament? Where can I find the list of the qualified from last year championship? "A Bait you will Treasure"
The April And May event dates will change. We will not have a event on Easter or Mother’s Day. You only have to place in the top 10 in 1 of the 3 tournaments to qualify? What is the date for the actual KOC tournement? Last edited by COHLMEYER; 03/20/19 01:58 AM.